Mccoy equipment offers a full range of the industry’s most reliable and productive mixers from some of the world’s top names. The planetary design has one, two or three mixing stars that rotate themselves while also rotating around a central point, allowing each arm to cover the whole mixer floor in a number of revolutions. Ideal for precast concrete, production of prestressed / precast elements, block and pavers, concrete pipes and dry mortar mix. The mixers can be equipped with several accessories and options to optimize their productivity, mixing quality and life expectancy. 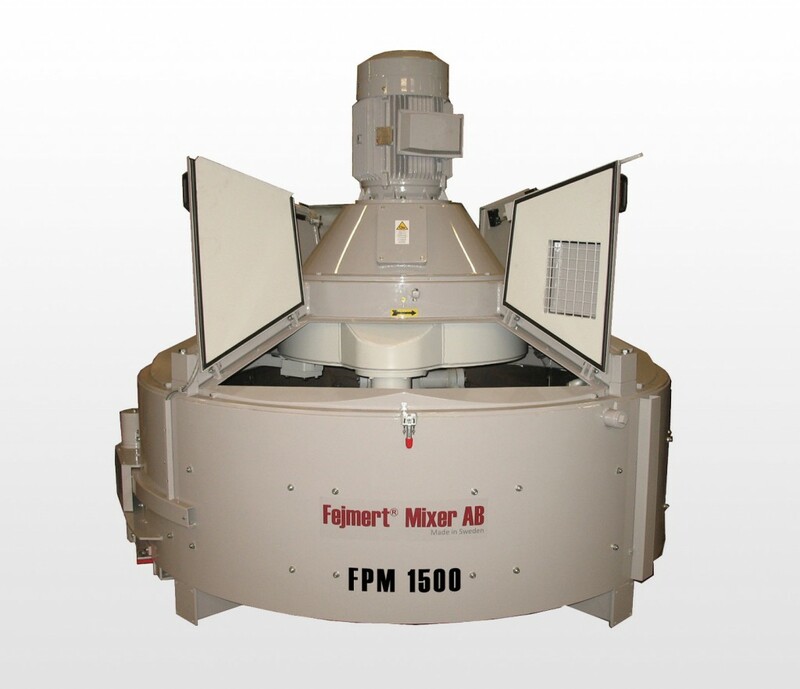 McCoy Equipment carries Fejmert, Rapid Industries and Sicoma planetary mixers. 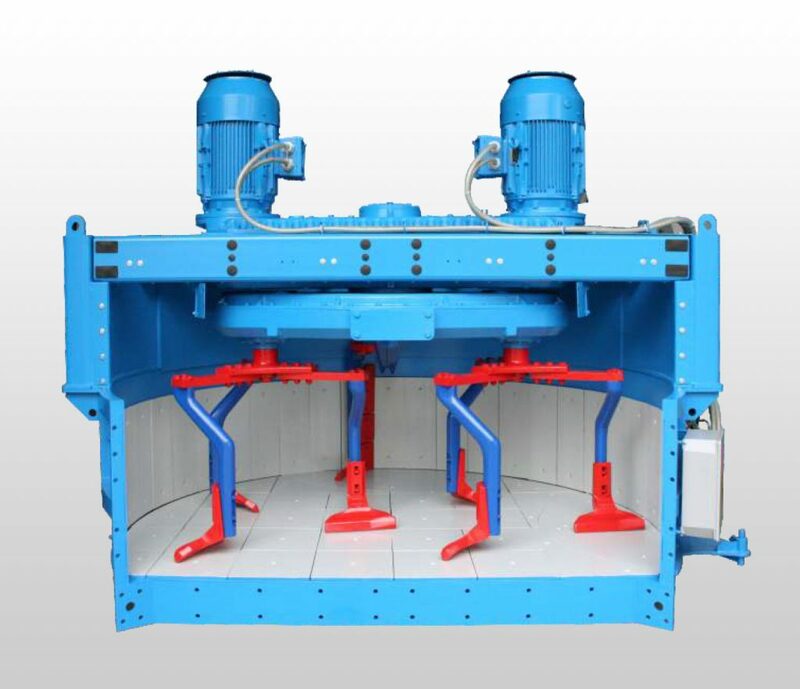 The twin-shaft mixing system is composed of two synchronized horizontal axes. 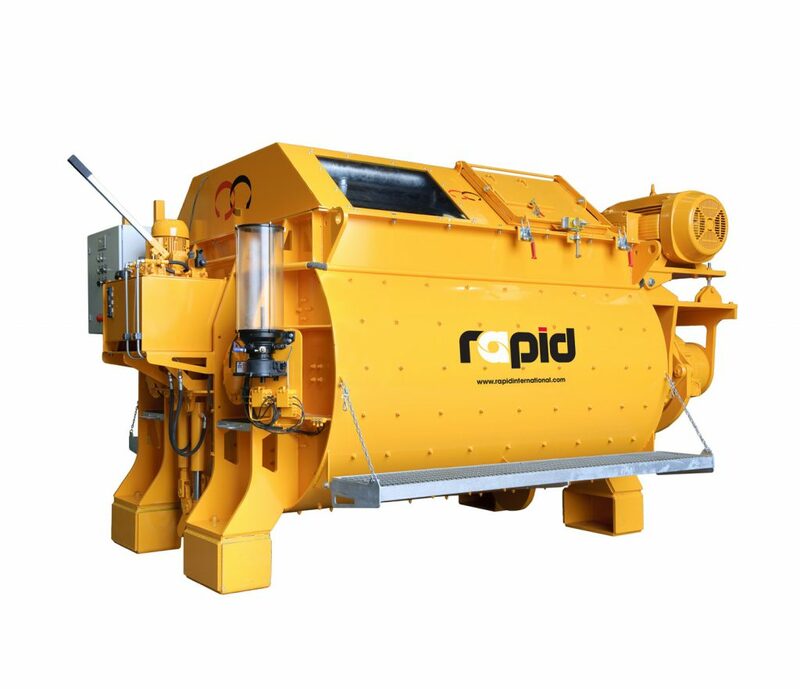 The twin-shaft mixer uses a very fast, compulsory mixing action to handle a large variety of aggregate sizes up to a couple of inches in diameter. Designed for tough jobs like dam building and ready-mix, or high volume precast. 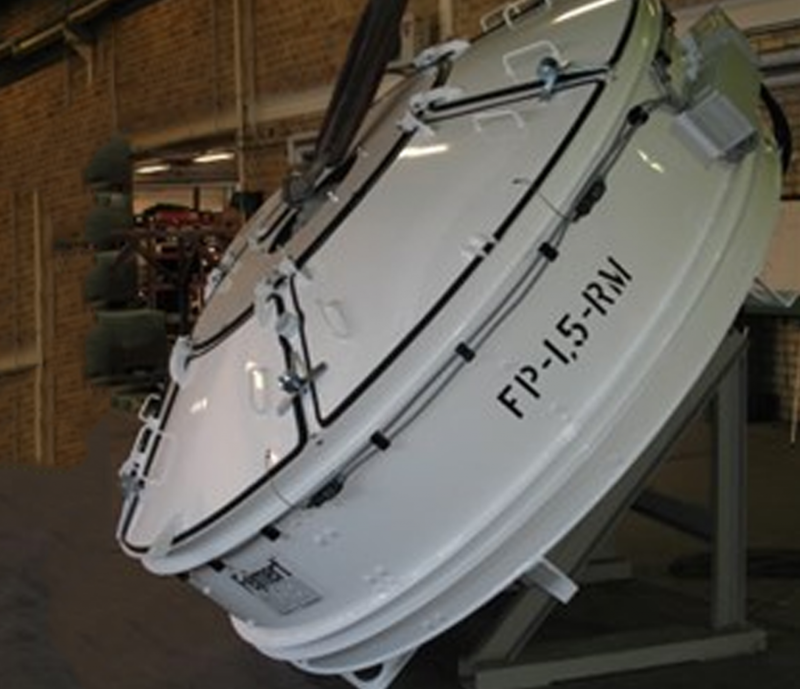 Additional options include a high-pressure washout system. 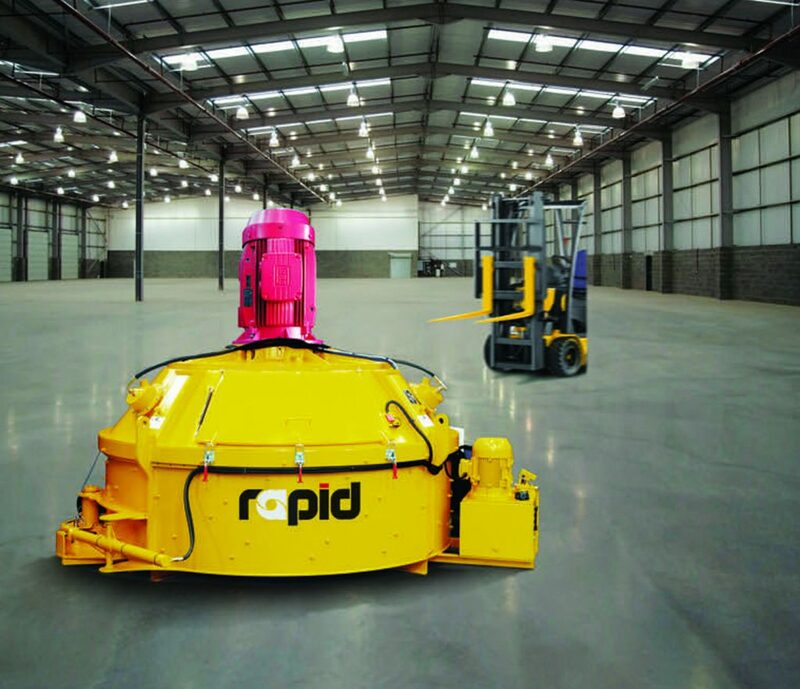 McCoy Equipment carries both Rapid Industries and Sicoma twin-shaft mixers. 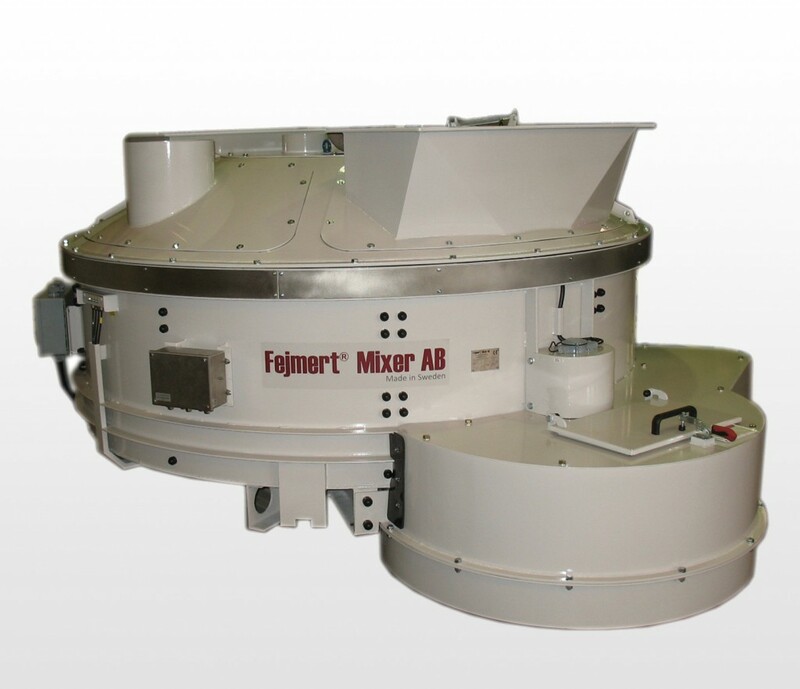 When you need to create a fast, efficient and homogenous mixture, our Turbine Pan mixers deliver with their high-shear, multi-velocity agitation. 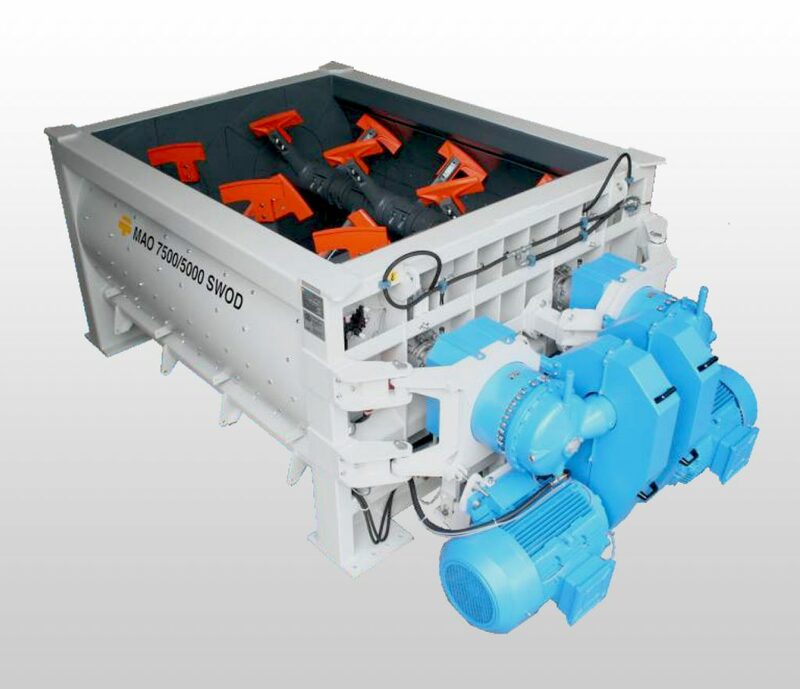 Each agitator blade revolves through the mix at different speeds to prevent cement balling. A self-sealing door and easy maintenance make this a great choice in concrete mixers.